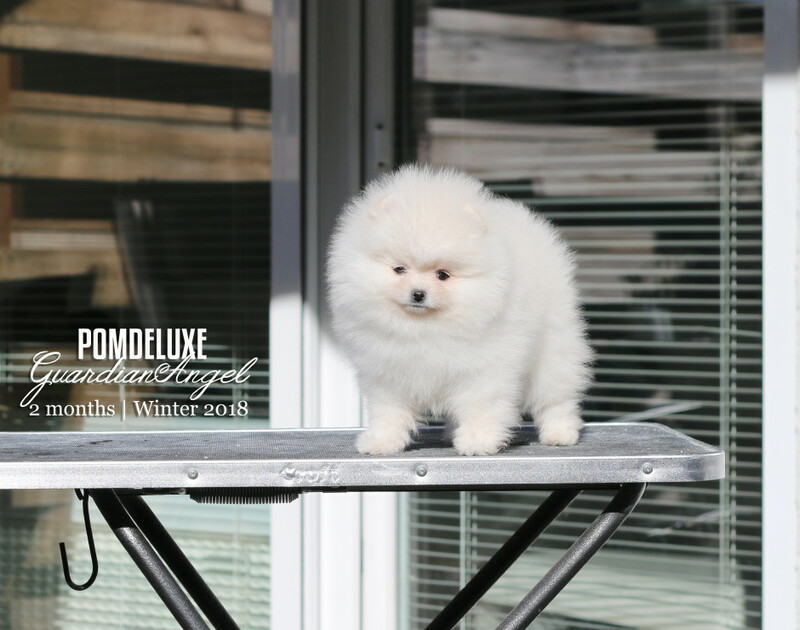 They say opposites attract and that is definitely true in case of sun and snow!! 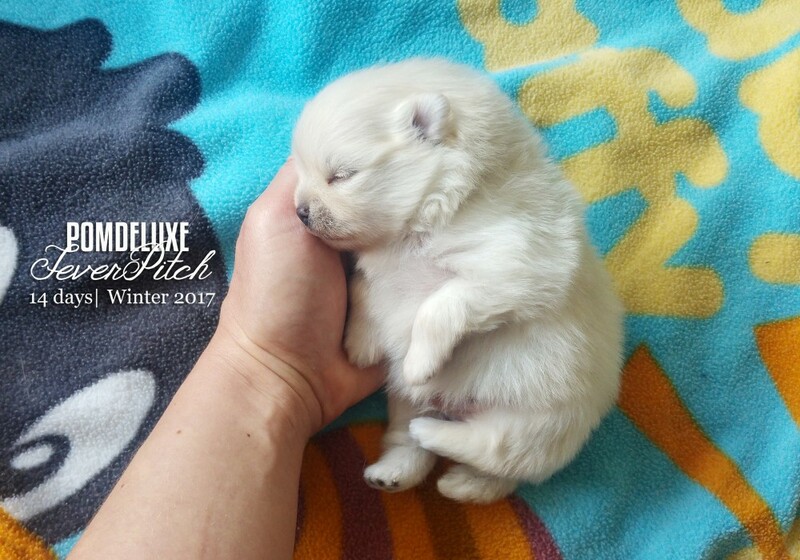 They match!! 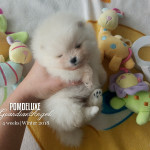 And if you add a bunch of pomeranian puppies..it is time to capture it in the picture to make it timeless and remembered forever!! 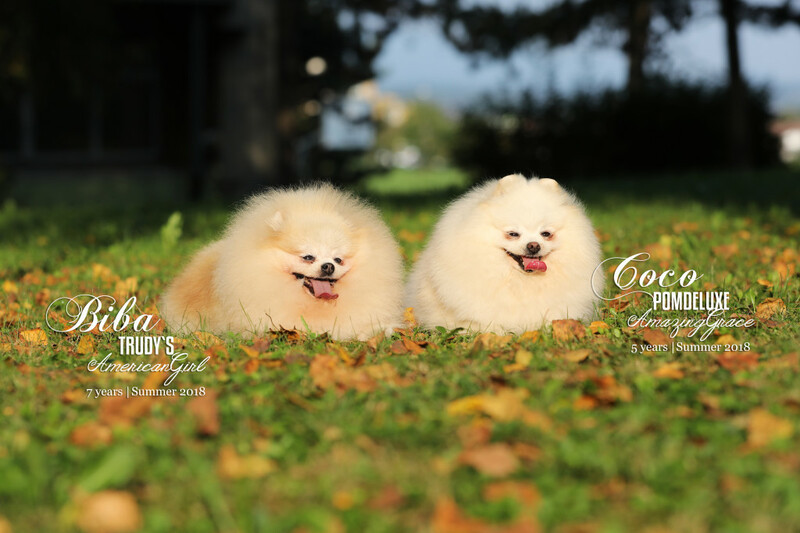 On the pictures our girl Biba and her grand daughter Guardian Angel. 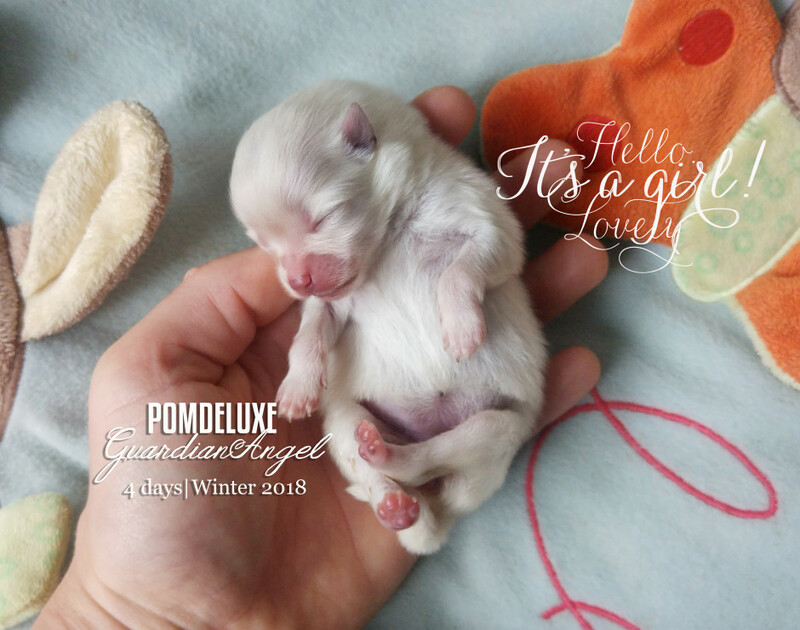 On 8.1.2018 we welcomed our new litter to the world. 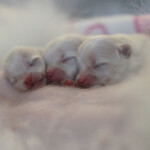 A girl and 2 boys. 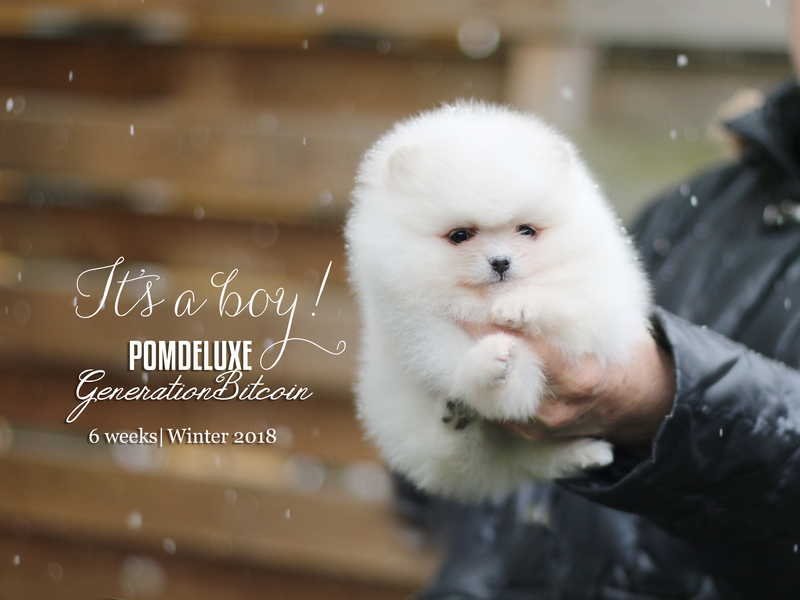 Hello, POMDELUXE Guardian Angel, POMDELUXE Generation Bitcoin and POMDELUXE Grand Prix. 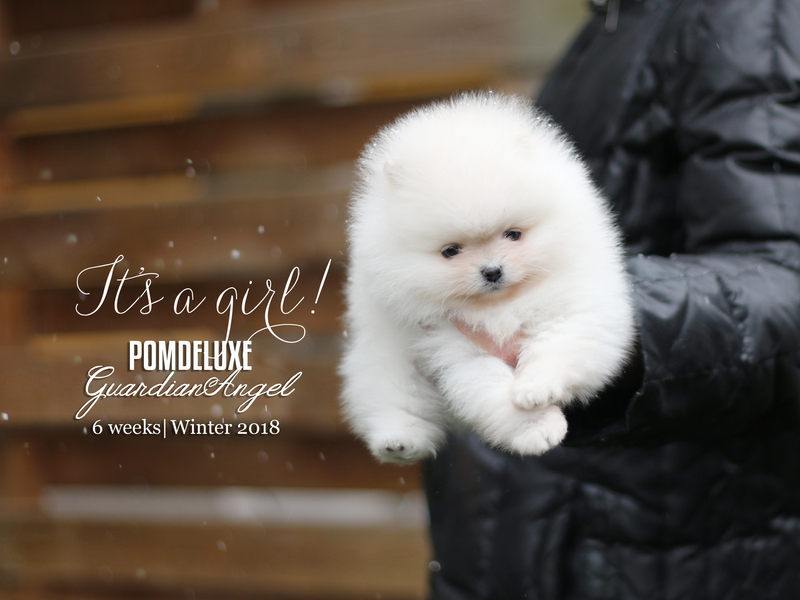 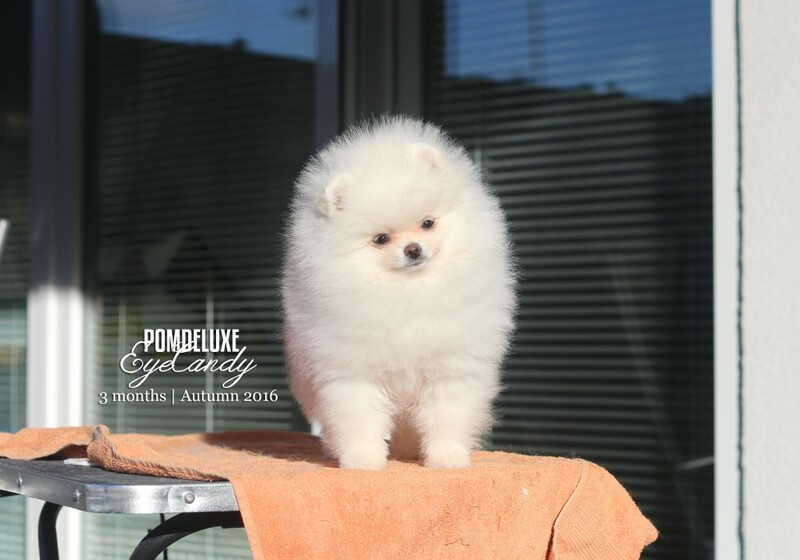 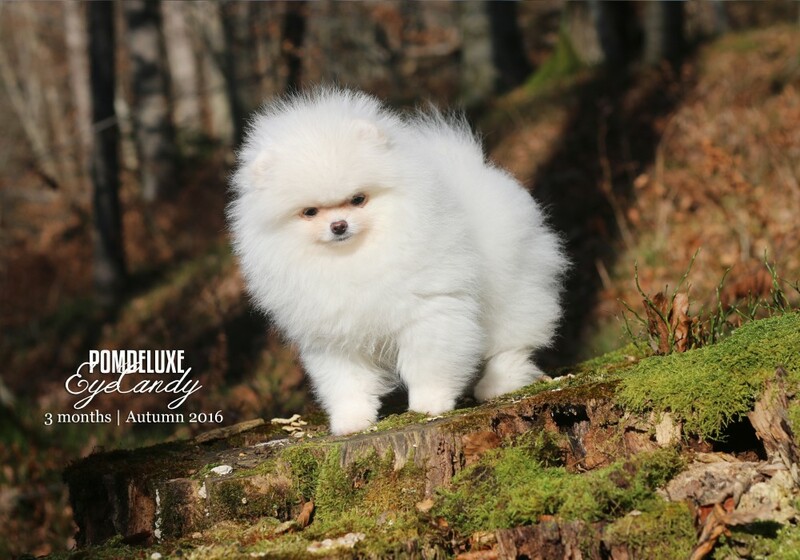 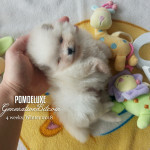 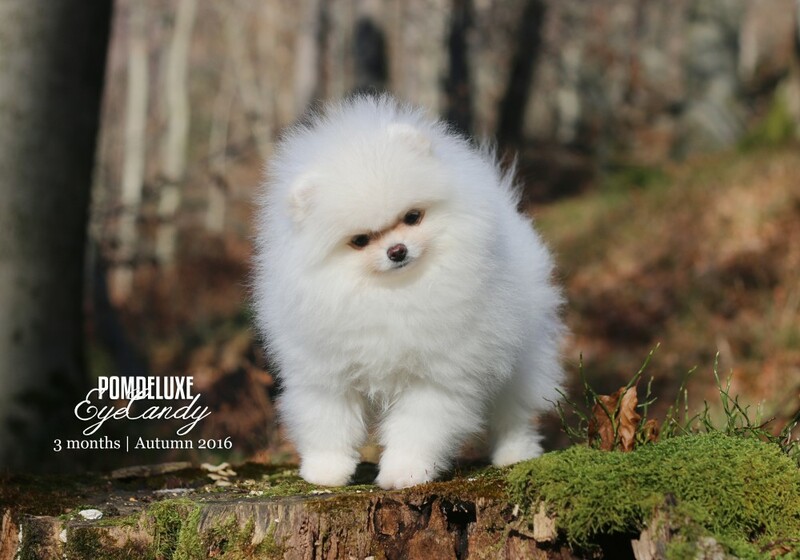 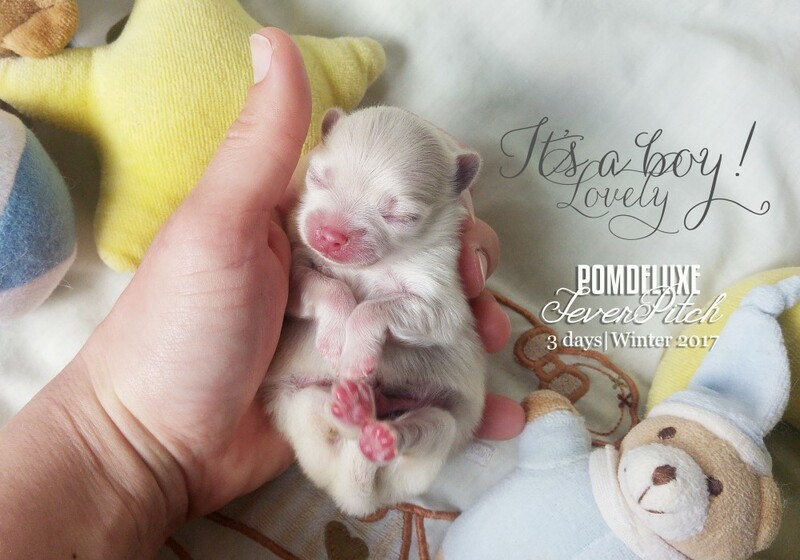 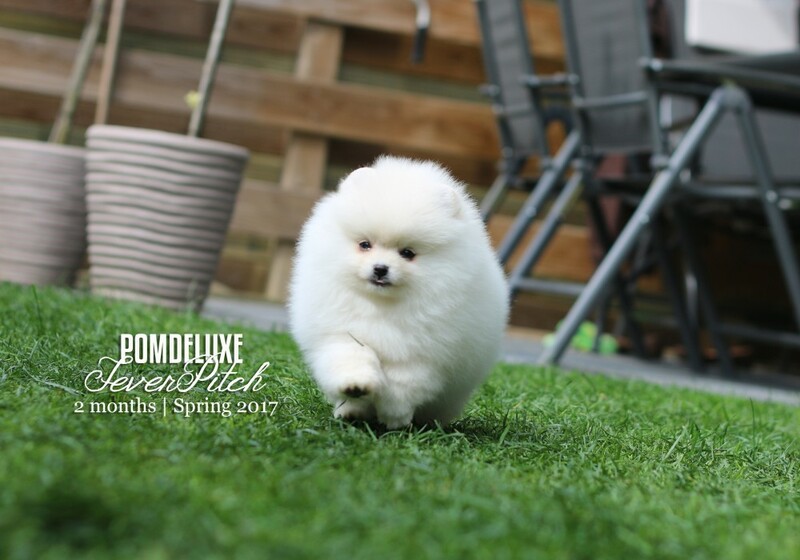 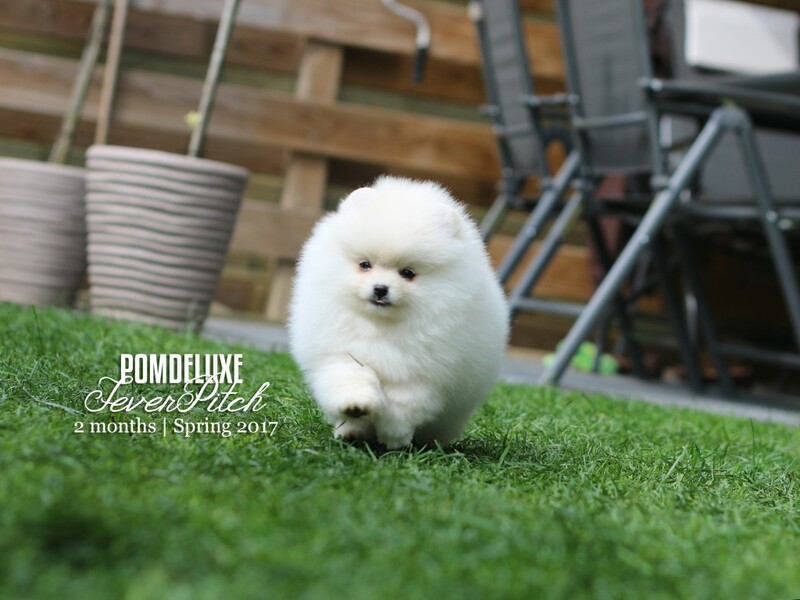 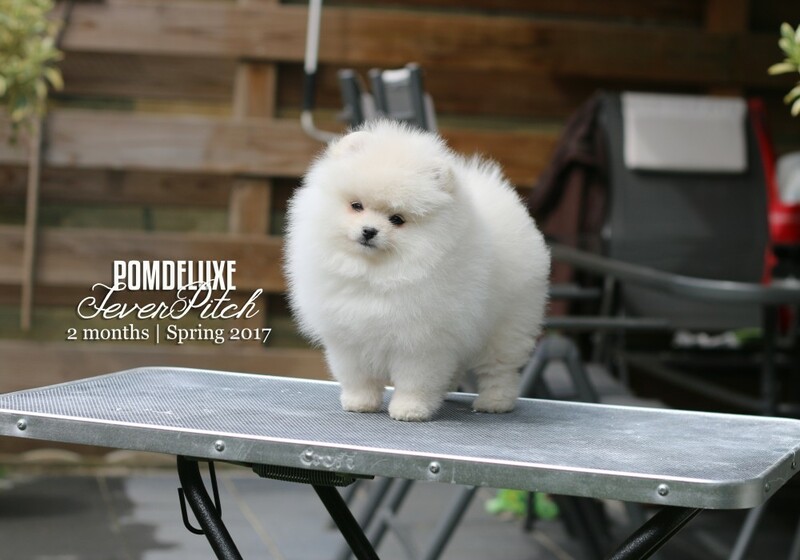 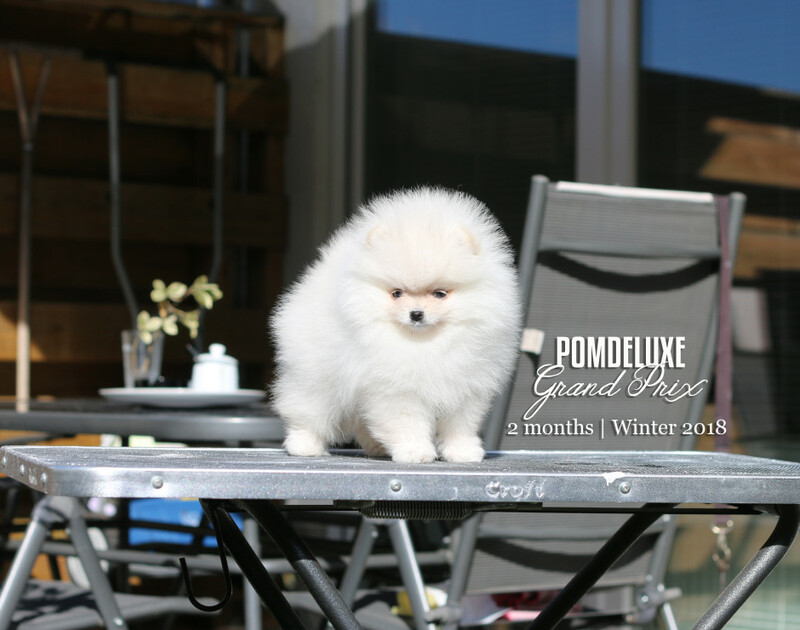 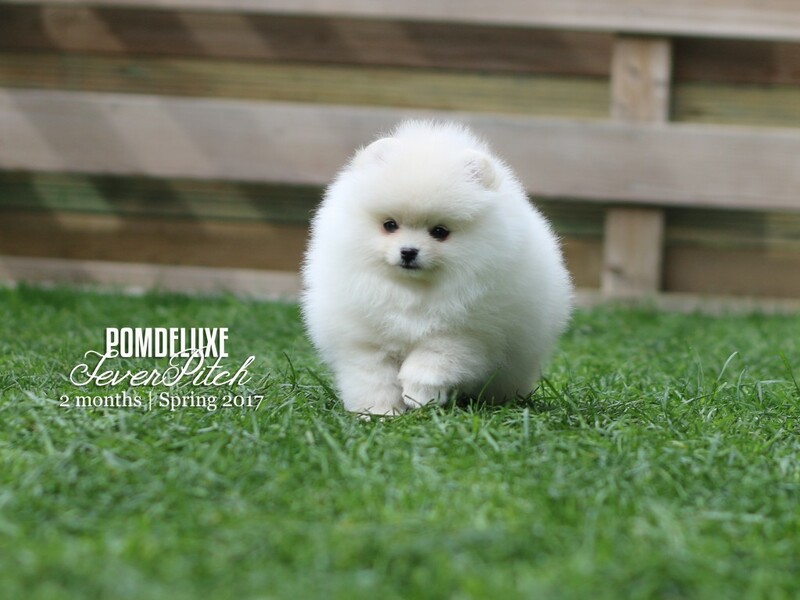 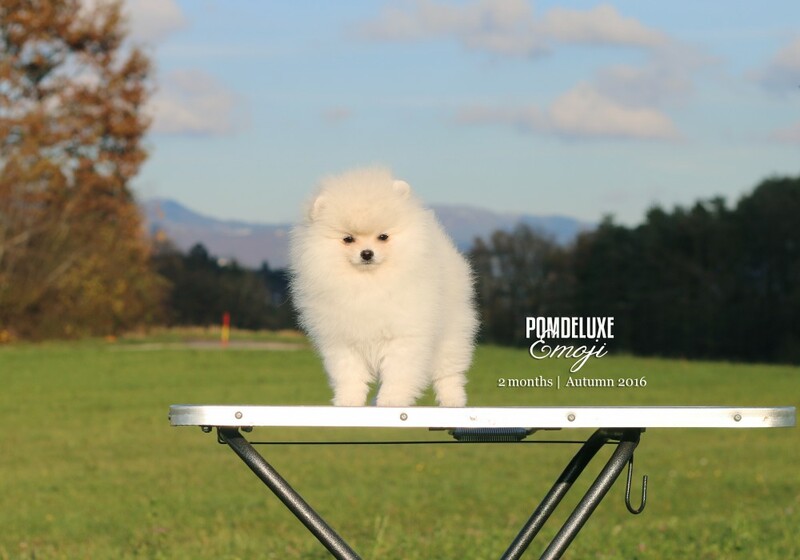 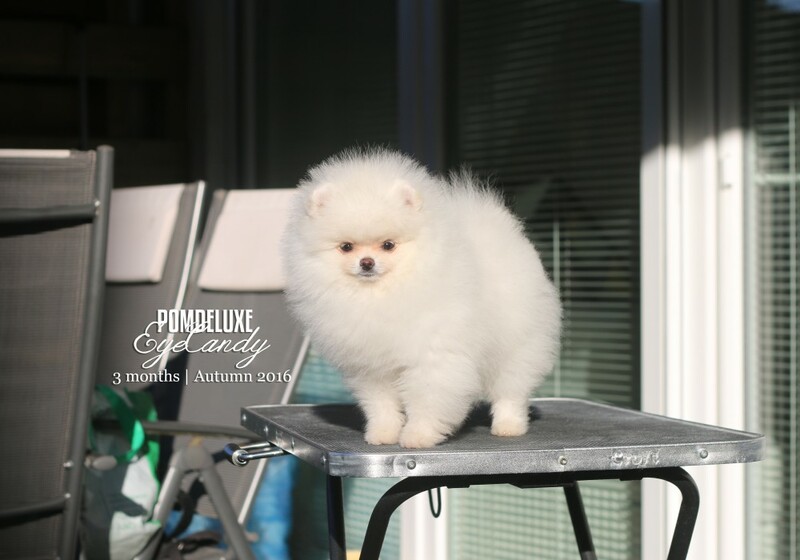 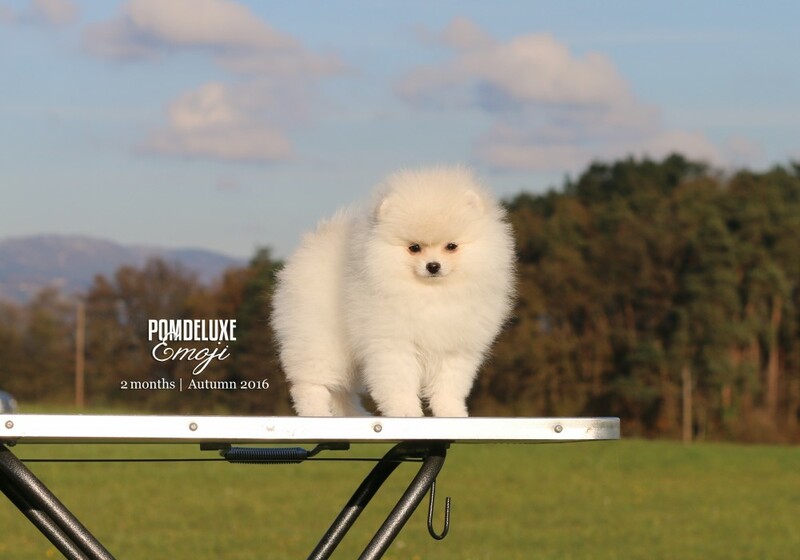 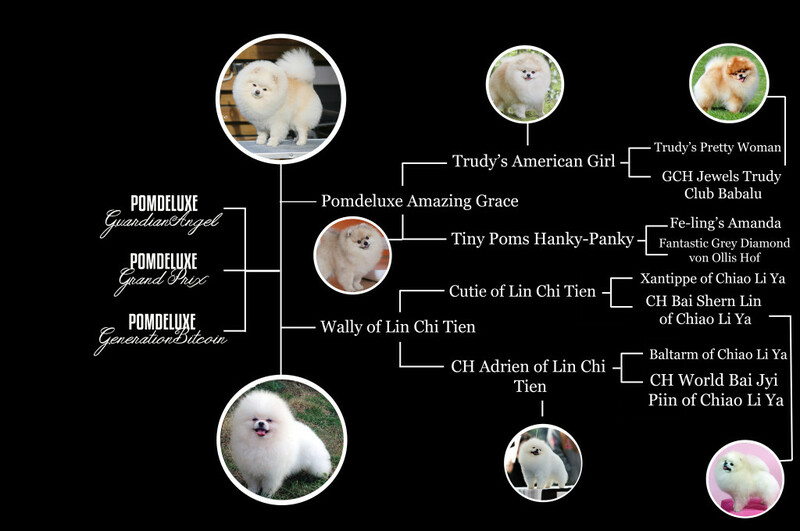 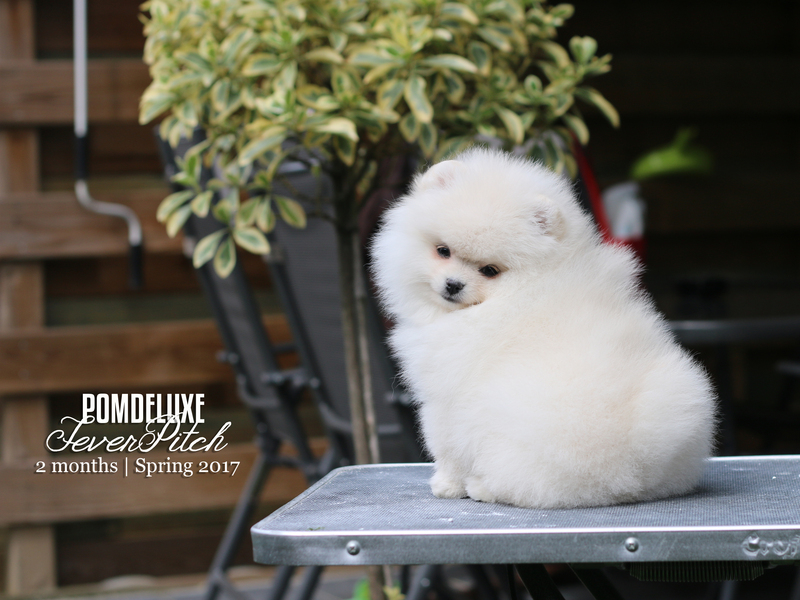 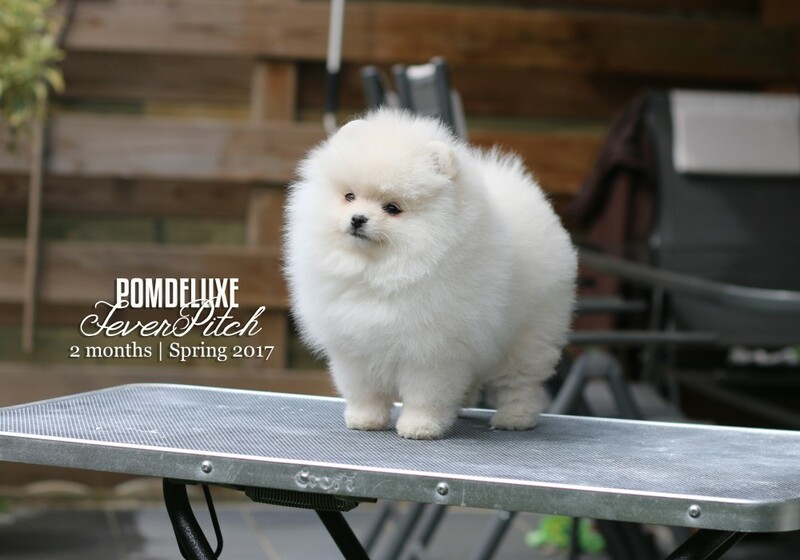 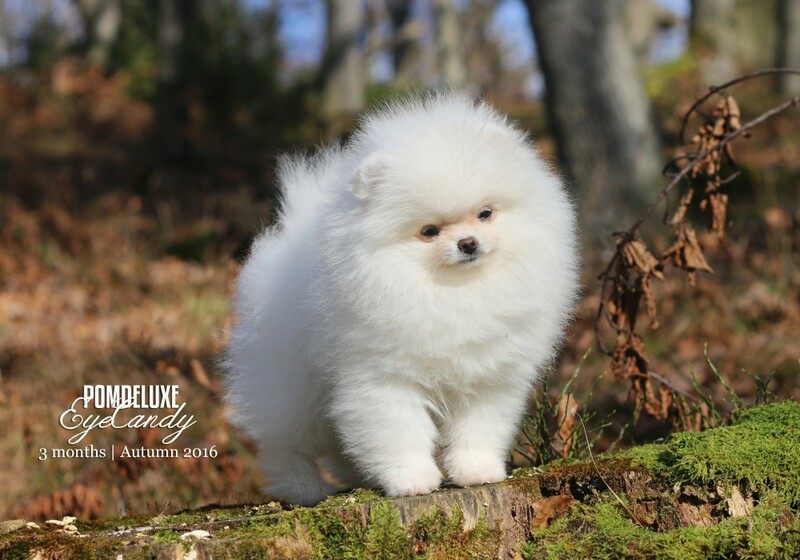 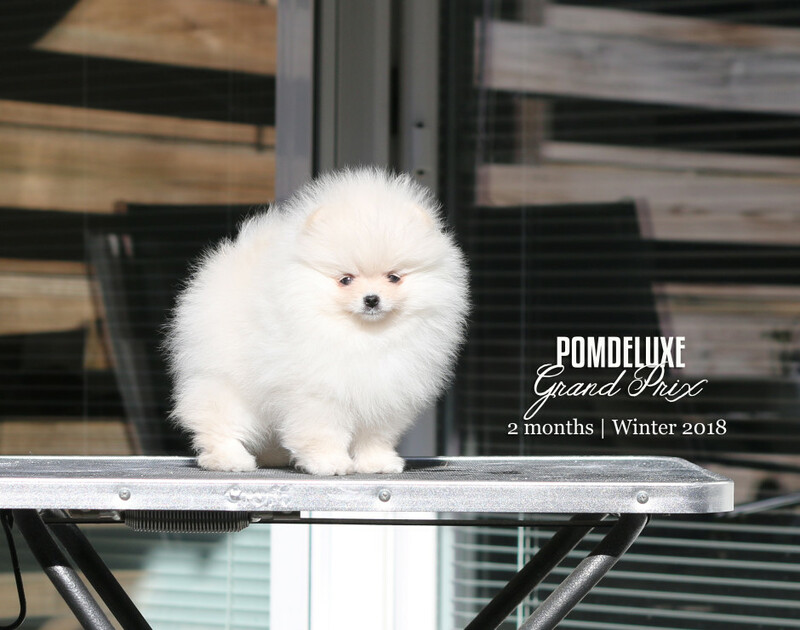 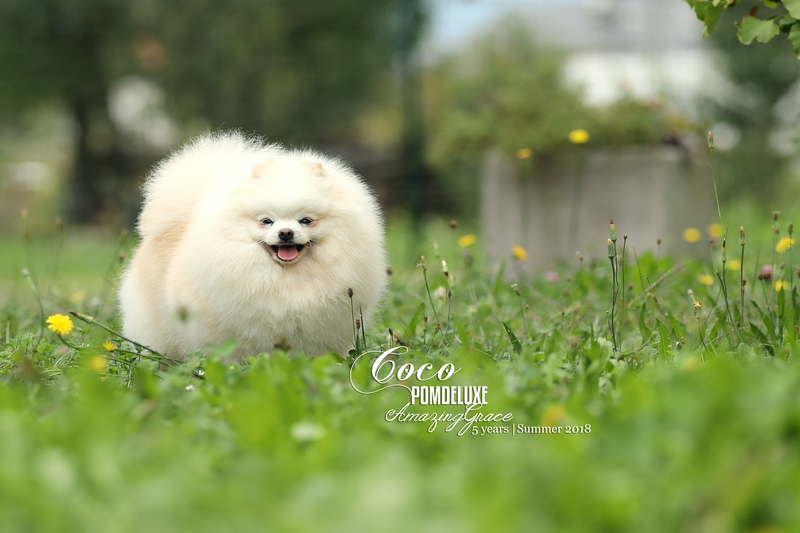 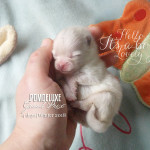 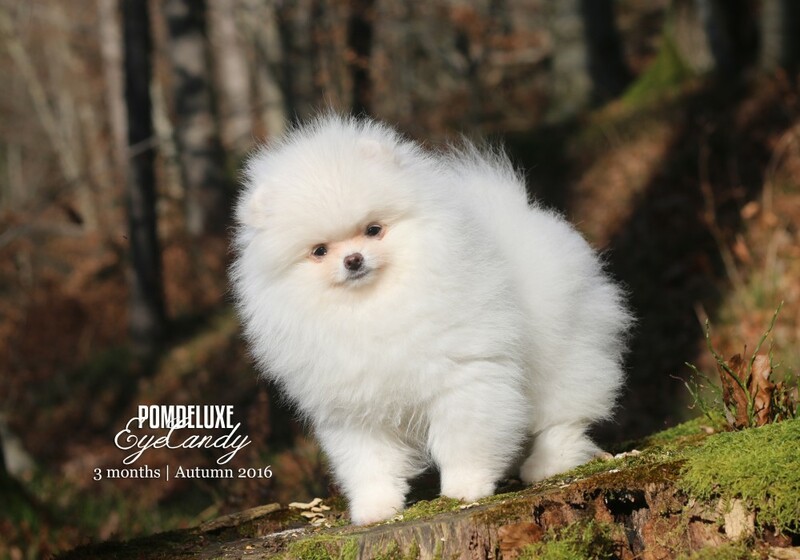 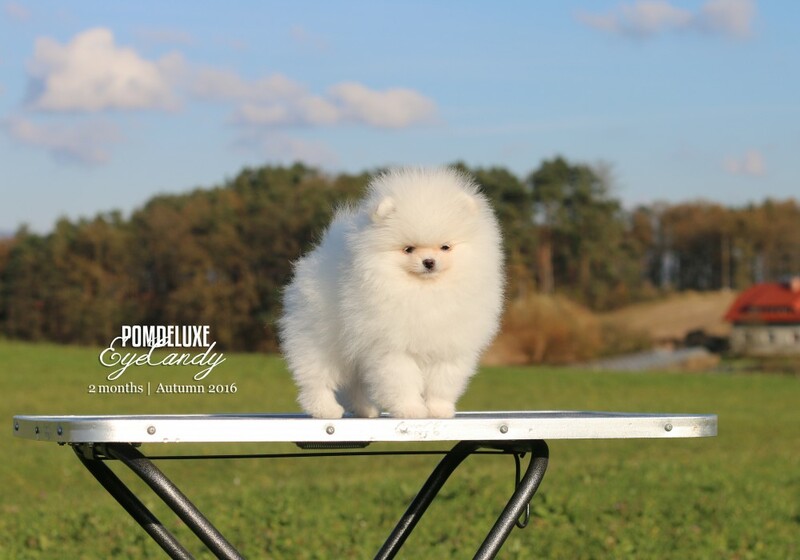 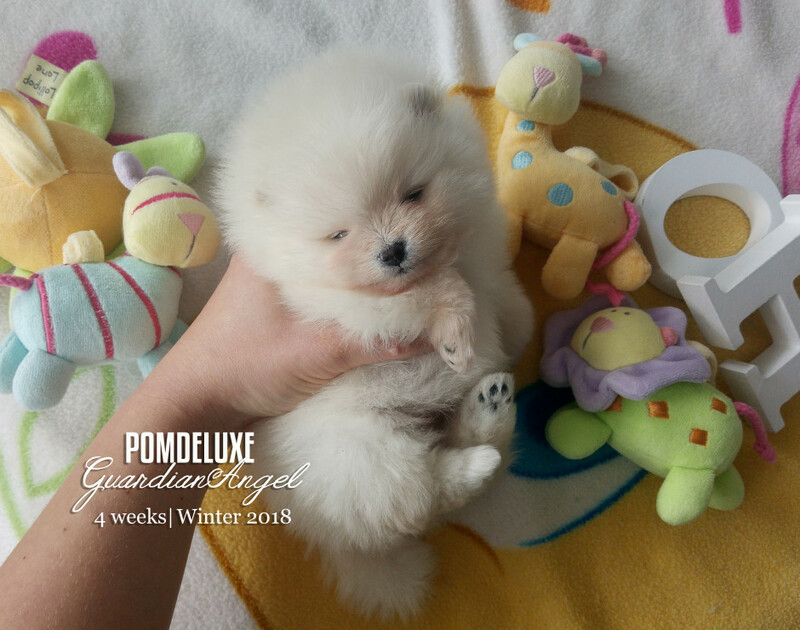 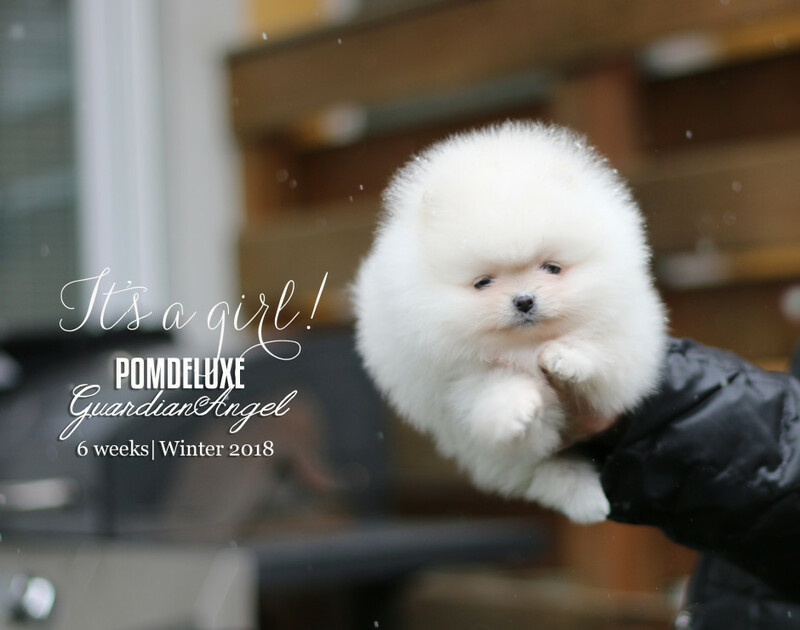 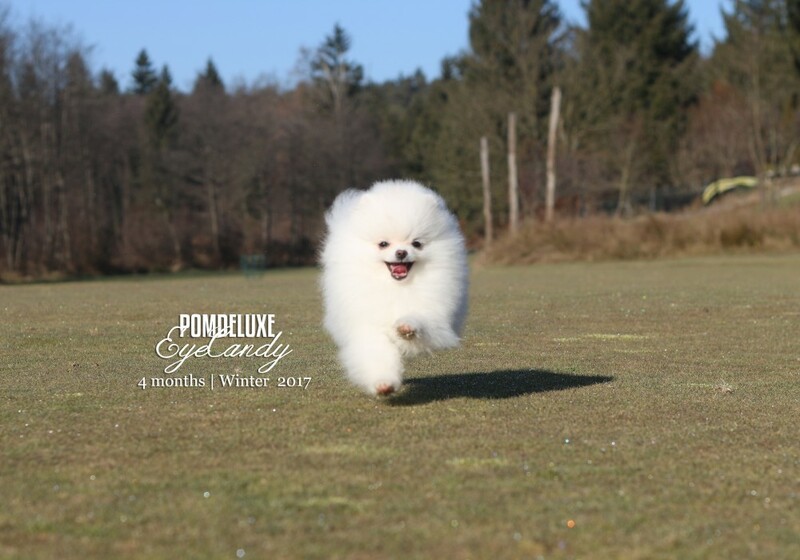 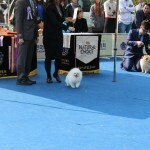 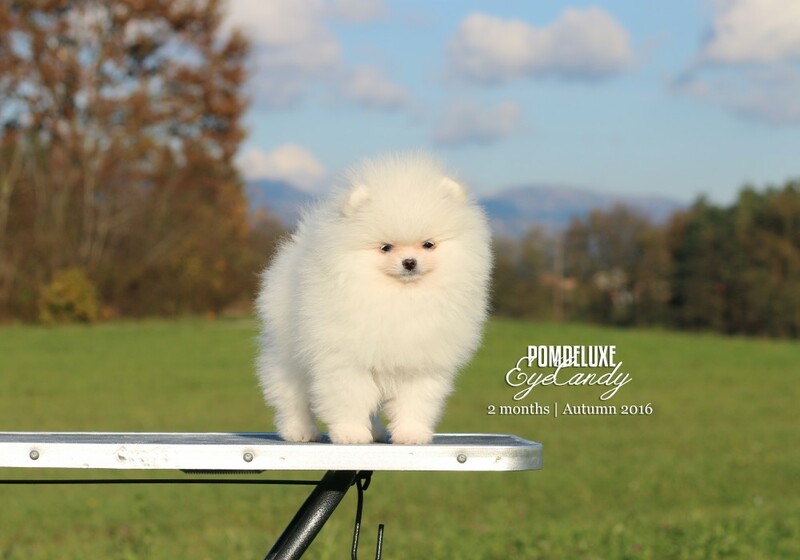 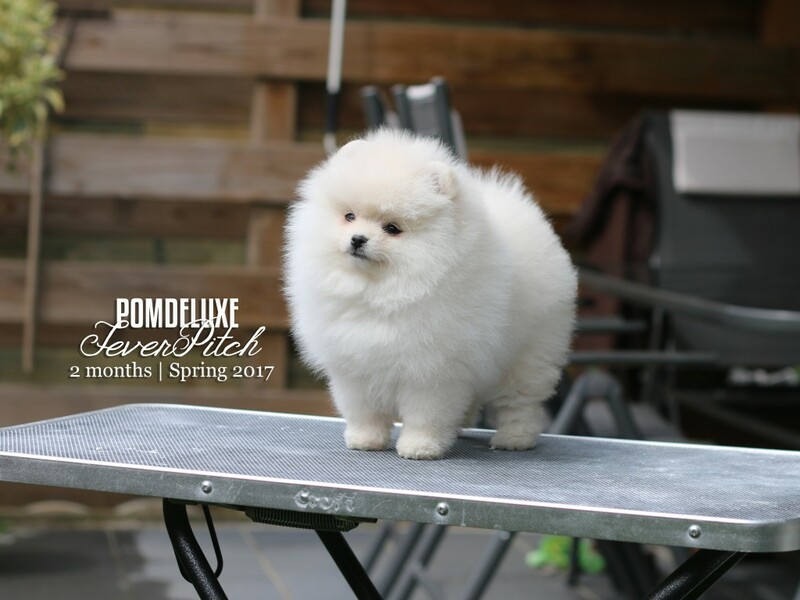 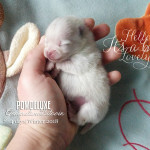 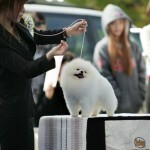 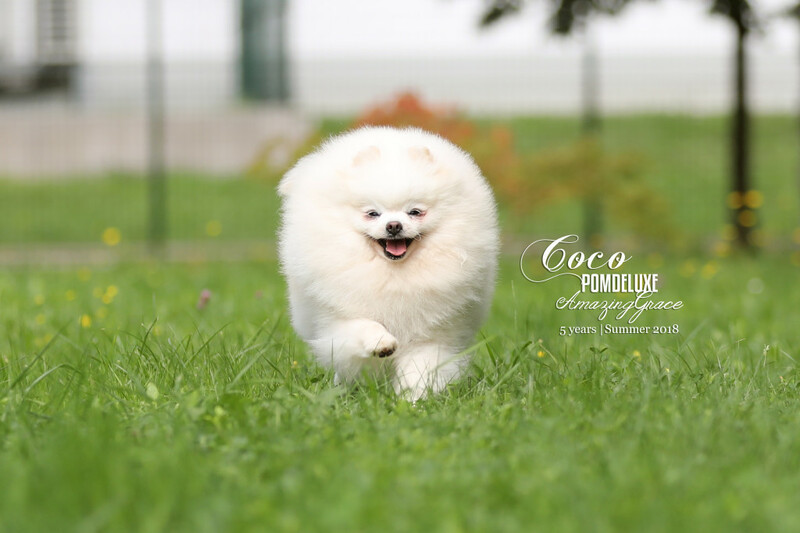 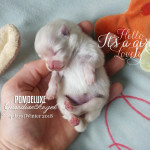 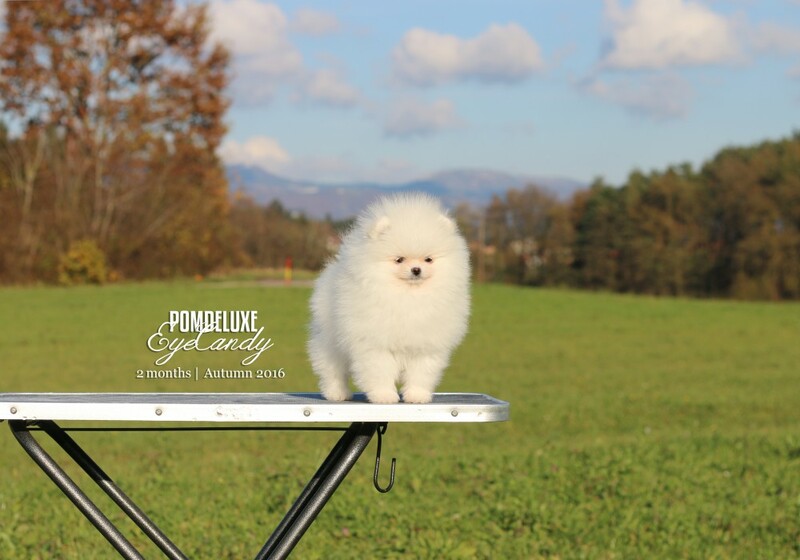 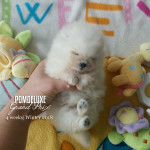 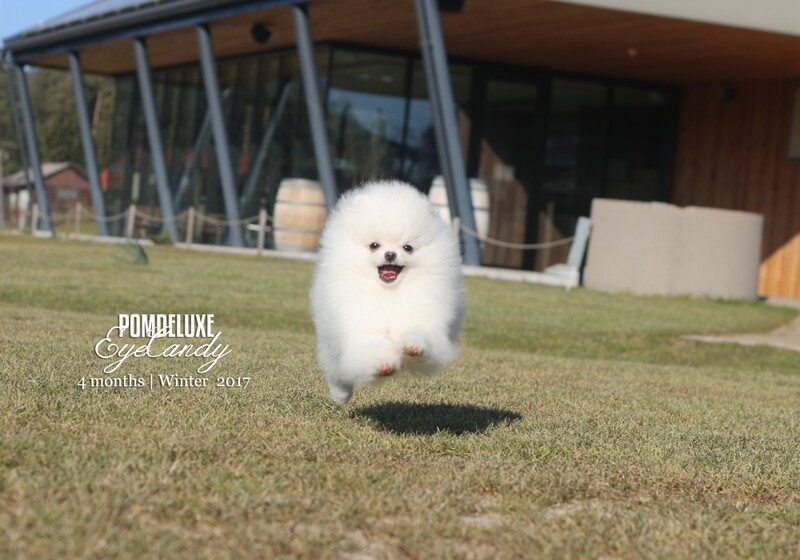 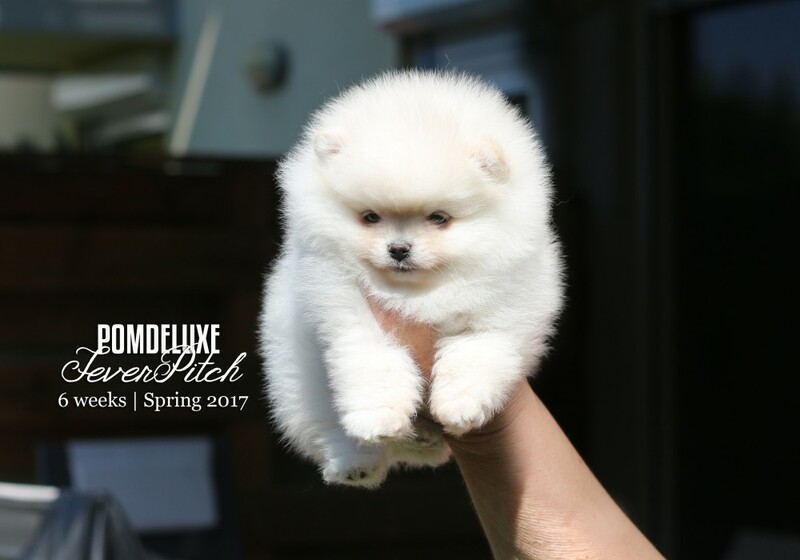 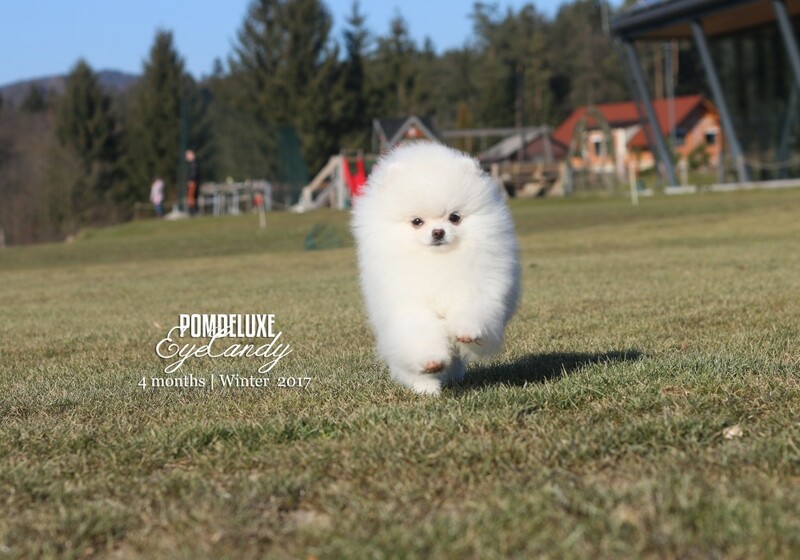 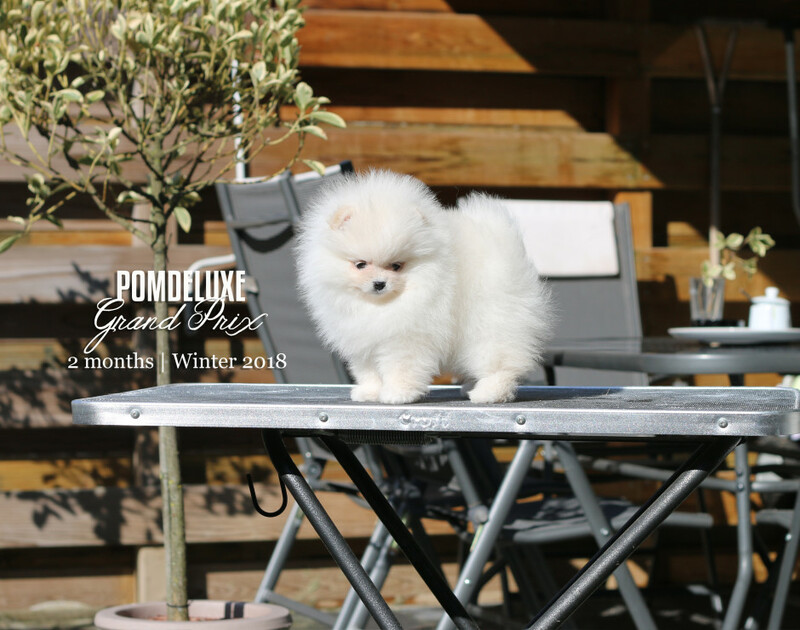 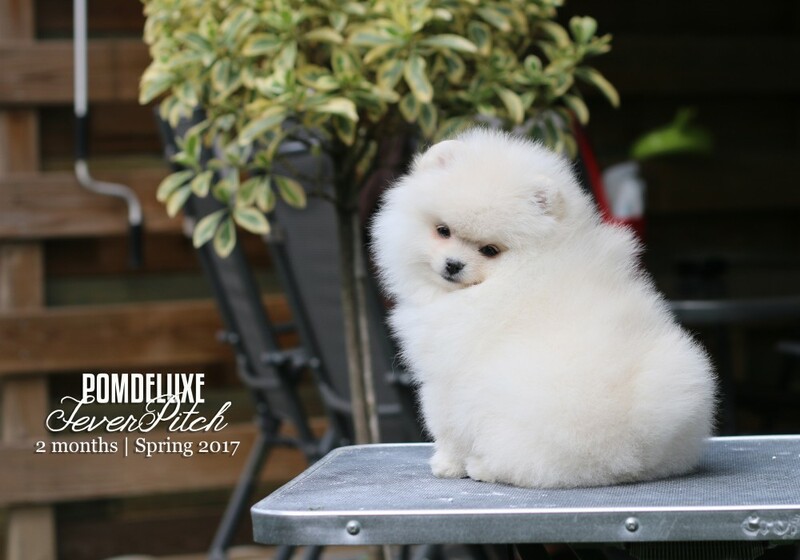 Bellow you can see pedigree of litter G and pictures of their white koren granfather, Adrien of Lin Chi Tien, one of the best white poms in my opininon. 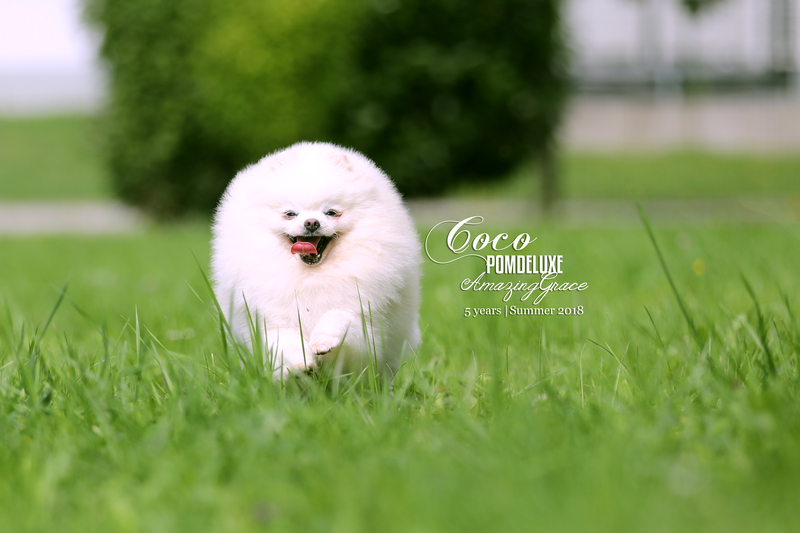 LET IT BE A YEAR TO REMEMBER! HAPPY 2018! 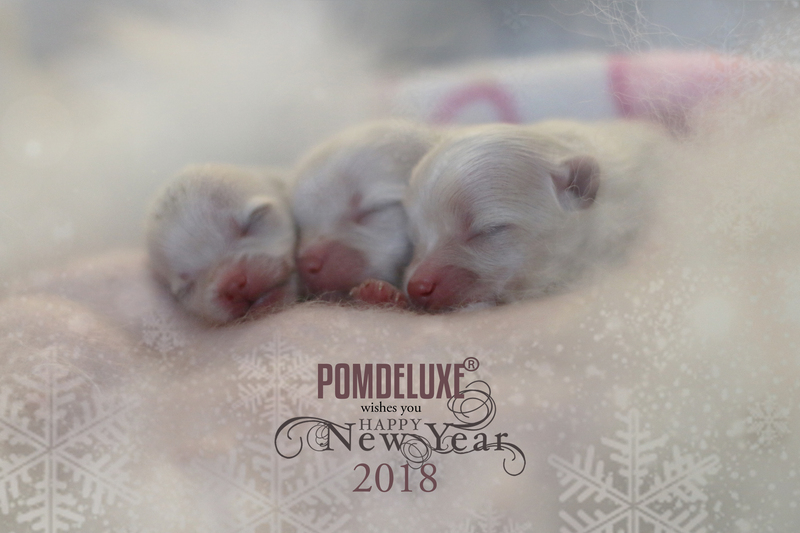 POMDELUXE wishes you all the best in 2018! 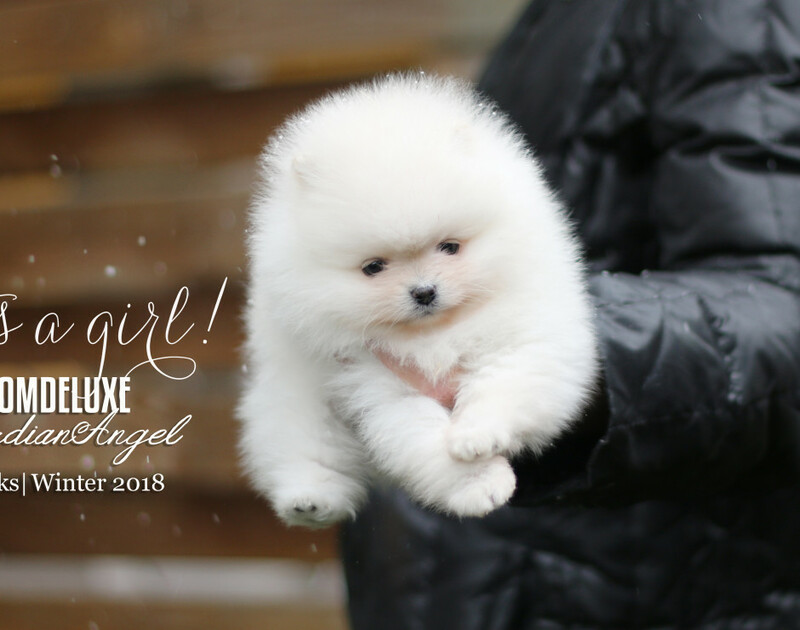 Let it be the year to remember! 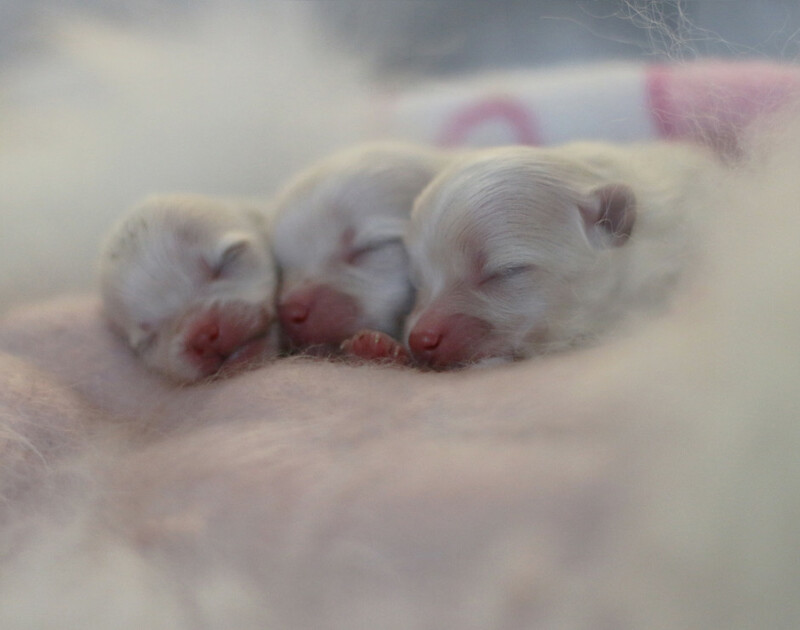 Our started just great with the birth of our three puppies! 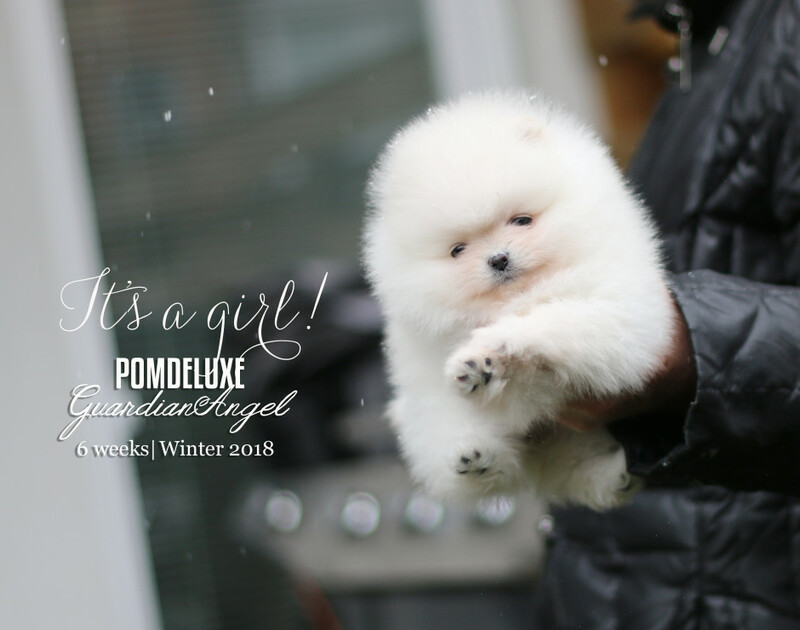 On 24.2.2017 our new litter of singleton was born. 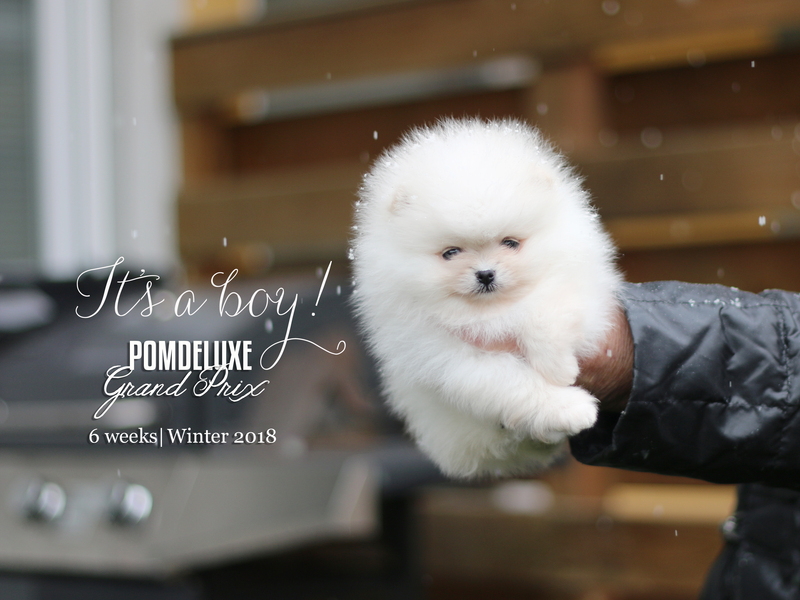 A boy. 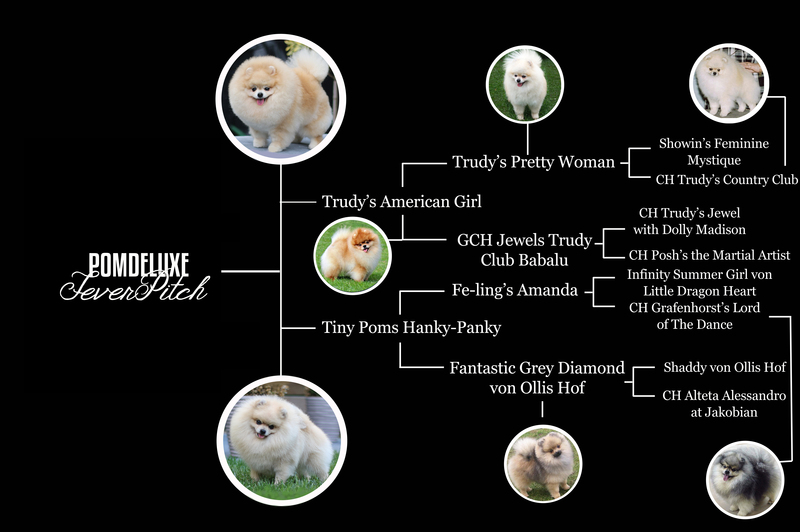 Here are his pictures and below his pedigree. 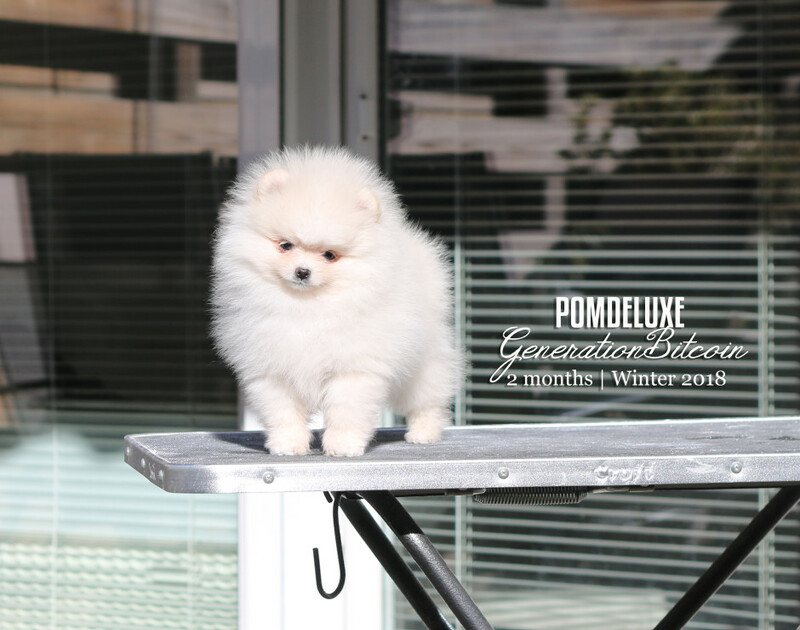 POMDELUXE wishes you all the best for 2017. 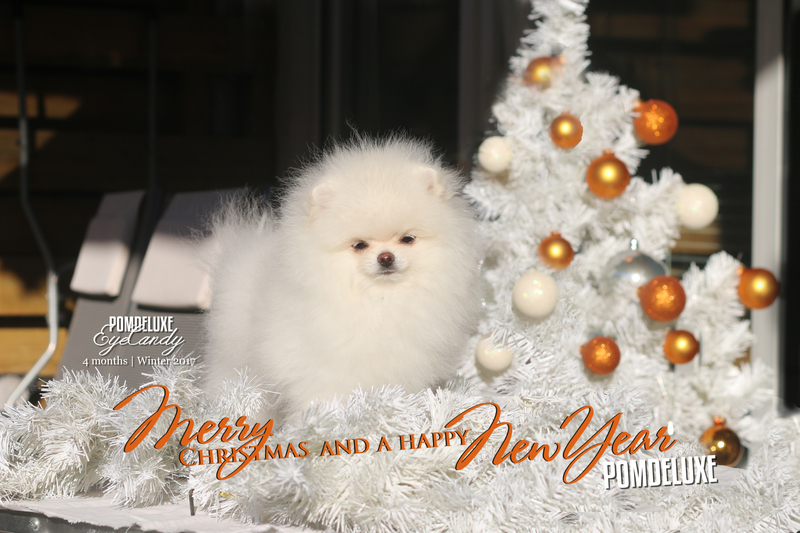 Let it be the year to remember. 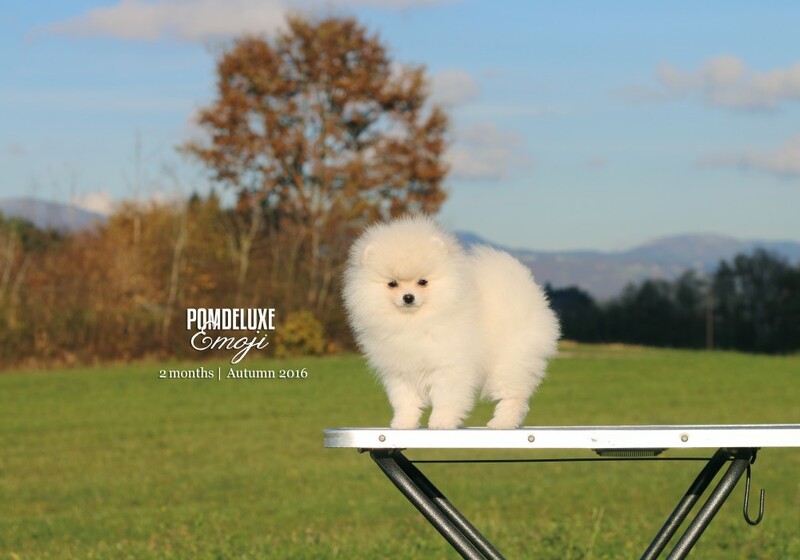 It was a sunny autumn day and perfect to take some new photos of our puppies.